Federal agencies can be a confusing thing. Starting on the hill in Washington D.C. and working their way down to small towns across America, it can be difficult to understand exactly what those agencies do, and why they do it. How does the local business owner feel the effects of a national regulation sent down from thousands of miles away? Sometimes, the work of a federal agency can be obscured and misunderstood, and in some cases, unnecessarily vilified. The EPA is one of these agencies whose regulations are felt all across the country. So what exactly do they do? The Environmental Protection Agency of today is a federal agency established to protect human health and the environment by writing rules and regulations based on the bills passed by Congress. The agency first appeared as a response to the feeling in the 1950s and 1960s that a federal policy was necessary to incentivize federal agencies to consider the environmental impacts of their decisions. And so the National Environmental Policy Act of 1969 (NEPA) was passed. This Act declared a national policy to protect the environment, as well as creating the Council on Environmental Quality (CEQ). Only a year later, President Nixon signed an executive order changing the NEPA to the federal agency: the EPA. working with industries and all levels of government on voluntary pollution prevention programs and energy conservation efforts. So who works for the EPA? The EPA employs just over 15,000 employees across the nation. More than 50% of these employees are engineers, scientists, and environmental protection specialists. The other half of EPA employees include legal, financial, public affairs, and informational technologies positions. The EPA manages more than 100 programs that uphold 12 major laws and statues including air, pollution prevention, wastes and recycling, toxics and chemicals, water, and pesticides. How does the local business owner come to know the regulations of the EPA? First, Congress must pass an environmental law. Then, the EPA writes a regulation responding to this law. Usually, the regulation will be written as a federal standard. States and tribes then enforce these standards through their own regulations. How are EPA regulations enforced? When it’s necessary, the EPA can and will take a number of actions against companies and individuals who don’t follow federal regulations. These actions are either civil administrative actions, civil judicial actions, or criminal actions. Civil administrative actions means there is no judicial court necessary, whereas the civil judicial actions means that a judge must be involved to establish the proper enforcement for the parties not following the federal regulations. In some cases, criminal action is taken, in which case the abusing parties are taken to court with criminal charges and will either be judged guilty or not guilty. What kind of enforcement does the EPA use? 1) Federal Facilities Enforcement: This means that the EPA makes sure that federal facilities are complying with environmental regulations. If they are not, the EPA can take civil administrative, civil judicial, or criminal actions against the federal facility. 2) Clean up Enforcement: This is the more commonly known and used method of the EPA. Clean up enforcement means that the EPA will identify the person and/or company responsible for the pollution and/or contamination and they will negotiate for the party to clean up the area themselves; order the party to clean up themselves; or, ordering the person/company to pay for the clean up to be completed by a third party. Where does the federal funding go? The EPA functions on an $8 million budget. Nearly 50% of this funding is used in the form of grants that are given to state environmental programs, non-profits, educational institutions, and others working towards bettering the environment and standards of human health. Remaining funds are used for initiatives spanning scientific studies to community cleanups. The EPA also uses the federal funding to study environmental issues. EPA employees are responsible for identifying and attempting to provide solutions to environmental problems across the country. We can’t forget about environmental education and community action, either. The EPA takes advantage of sponsor partnerships with businesses, non-profit organizations, and state and local governments. This 1970 Act was one of the first major federal acts to change the government’s role in their ability to control air pollution. The central point of this act was to limit emissions from stationary and mobile sources. To regulate the act, four programs were instated: the National Ambient Air Quality Standards, State Implementation Plans, New Source Performance Standards, and the National Emission Standards for Hazardous Air Pollutants. Today, the Clean Air Act regulates carbon monoxide, ground level ozone, lead, nitrogen oxide, particulate matter, and sulfur dioxide. This 1996 Act amended the previous Federal Insecticide, Fungicide, and Rodenticide Act, and the Federal Food, Drug, and Cosmetic Act. The additions made in 1996 dramatically changed the EPA’s ability to regulate the use of pesticides. This Act also required that the EPA expedited approval of pesticides meeting FQPA standards, provided lists of pests of significant public health importance, expedited review of applications to register antimicrobial pesticide products, and screen pesticides for disruption to the endocrine system. Perhaps what has brought the EPA into the limelight most recently is the approval of their new administrator, Scott Pruitt. President Trump campaigned, in part, on dismantling the EPA and cutting down the numbers of employees working to ensure environmental and human health across the country. In early February, Congress approved the nomination of previous Oklahoma Attorney General Scott Pruit, 52-46. Democrats in Congress advocated to hold the vote until the OK Attorney General’s Office released over 3,000 emails detailing the communication of Pruitt and fossil fuel industries. What is most worrisome about the approval of Pruitt as EPA Administrator is his self described status as a “leading advocate against the EPA’s activist agenda.” Coming in second, a number of lawsuits against the EPA in years past initiated by Pruitt himself, and often in conjunction with other fossil fuel companies. He is not entirely against the EPA and its regulations; however, he believes that environmental regulations are better served on a state-by-state basis, and many of his lawsuits dealt with what he felt was the EPA overreaching their federal bounds. Lastly, and just as worrisome as the previous two comments, is that Pruitt is quoted as questioning the scientific consensus of global warming. After a largely successful 8 years with the Obama Administration (Clean Power Plan, signing of the Paris Agreement), American citizens must remain cautious and vigilant to see what will become of the EPA with its new leader, and speak out when the wellbeing of our environment and national health is at risk. The inverter is a critical part of your solar system that converts DC electricity into AC electricity. AC is what’s usable in your home and on the grid. 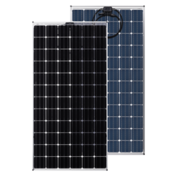 Without an inverter, the panels on your roof or ground mount are just panels. So what’s the difference in inverters? String inverters came first and are often cheaper when compared to a micro inverter system — at first. 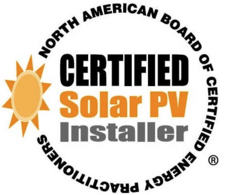 String inverters work for “perfectly installed panels” meaning they’re on a single plane and are never affected by shading or other inclement weather conditions. The older technology was introduced in 1991 by SMA Solar Tech and hasn’t changed much since. These inverters work by “daisy chaining a ‘string’ of solar panels which produce DC electricity and wiring the final panel’s electrical leads to a device known as a central string inverter which converts DC to AC.” The reason many people choose string inverters is because they’re told it will be cheaper than a microinverter system. This is only partially true. The cost is lower (at first), but troubleshooting any problems is much more costly and time-consuming. This chaining effect means that when one panel is producing poorly, all the panels’ production levels will drop to the lowest performing panel. The daisy chain also makes it more difficult to identify exactly where the problem is occurring. A good metaphor for understanding the ineffectiveness of string inverters is a strand of Christmas lights. When one little light goes out, so does the entire string. When the entire string is out, it’s even more difficult to find that one pesky light that’s causing the problem. Enphase was the first manufacturer to introduce microinverters in 2008. Different than string inverters, a microinverter is a small, intelligent, waterproof inverter located beneath each panel. Each inverter is connected to the others by a main cable that’s wired to the customer’s home utility panel. Microinverters are engineered to be 100% “fault-tolerant” as there’s no single point of failure. Though the microinverter technology is still at a higher price point (but not for the long…), the technology is far more sophisticated when considering your ability to monitor your solar system. When a string inverter fails, as discussed above, it’s incredibly difficult to locate exactly where the failure has occurred. The monitoring system for microinverters, and specifically Enphase microinverters, allows operators to monitor the power production of each individual panel, making it much easier to diagnose and fix a faulty panel if a failure was to occur. String/central inverters and micro inverters are both equipped with “Maximum Power Point Tracking” (MPPT) algorithms that “calculate the optimal power output and make necessary adjustments to ensure the highest power production. Microinverters perform the task for each panel, a crucial difference that avoids the ‘Christmas lights effect’ of an array with a central inverter.” A central/string inverter is only capable of analyzing its MPPT at the system level, so your entire system production will be negatively affected if your installation is at all impacted by shading or debris. Microinverters can still operate optimally despite shading because they analyze its MPPT at the panel level. 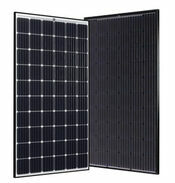 Since microinverters optimize the power output of each panel, manufacturers report a 15% increase of power per panel. Longevity is the name of the game. 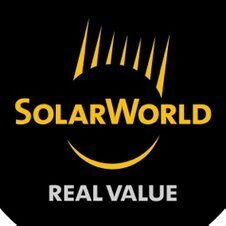 When a solar contractor sells you the inverter system, you’re bound to hear that string inverters are less expensive. This is true — to a point! What the installer is NOT telling you is that string inverters will likely need to be replaced twice more in their lifespan than microinverters, and the wiring must be redone once every 10-12 years. If you contractor sells you a string inverter system, he’s guaranteeing himself work in the future. A microinverter system can carry an average lifespan of 332 years.